A sportsbook is a place the takes bets on sports and other events. The sportsbook is the counterparty that you are betting against. The sportsbook also has custody of your funds until you withdraw. A betting exchange is different in that it is a platform that matches bets with other bettors. Similar to matching orders on a crypto exchange the betting exchange matches orders to find both sides of a bet. 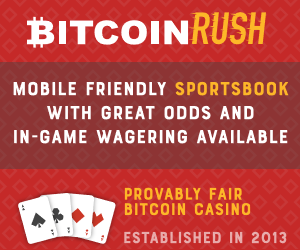 Pure Bitcoin/Crypto Sportsbooks & Betting Exchanges A „pure“ bitcoin or crypto sportsbook has only bitcoin as a deposit and withdraw method. There are no fiat symbols like $ or € on the site at all. All bets are denominated in crypto. Some sites use standard bitcoin amounts other uses „mBTC“ which is 0.001 = 1 mbtc. These sites typically do not have any KYC and take players from any geolocation. Offshore Sportsbooks refers to sportsbooks that are located outside the USA and Europe that mostly cater to players from the USA. They are for the most part located in Cosa Rica. For the last few years, these sites have started to accept bitcoin and some also take other cryptos like LTC, BCH or ETH. There are two main differences to a pure bitcoin sportsbook. First of all when you deposit the crypto is turned into fiat value. Your balance will be shown in USD value. For example, if you deposit 100$ worth of bitcoin it will show up as 100$ in your account. Then when you withdraw the fiat value will be turned back into crypto at the current rate. The second difference is that these sportsbooks typically have KYC. They will ask you for some documents in order to withdraw. Regulated Sportsbooks have licenses from Malta, UK or other countries. Typically they do not take Americans, North Koreans, people from Iran and a lot of other countries. Normally they do not take bitcoin but there are a few exceptions. The advantage to these places is that they will have a harder time exit scamming and you can send them a bank transfer. The odds are going to determine how much you win with your bet. There are several ways to display odds. Most sportsbooks have the ability to change between different types of odds to display. Use the one that you are most familiar with. American: Always has to do with the concept of betting 100$ for example -110 is bet 110$ to win 100$ or +200 means bet 100$ to win 200$. Minus means to pay this to win 100$ and plus means get this if you bet 100$. Decimal: Shows the risk and the win amount in one. For example odds, 1.90 would be bet 100$ to win 90$. or 2.75 would be bet 1 to win 1.75. Sometimes called „European“. Fractional: Fractional shows the odds like this: 3/1, 1/1, 1/2 and so on. If the odds are 2/1 then if you bet 1 you get 2. If the odds are 1/1 then that is even money. This is a bet on who will win the game. There is no handicap (also called spread). Normally this is „2-way“ meaning there are only two choices for the money line bet. This is a bet on who will win the game but the option Draw is included. This means that you can be on the Home team, Draw or the Away team. In American sports Baseball and Basketball there is no draw and in Football you get a push if there is the rare occurrence of a draw. With Hockey, it is more complicated. 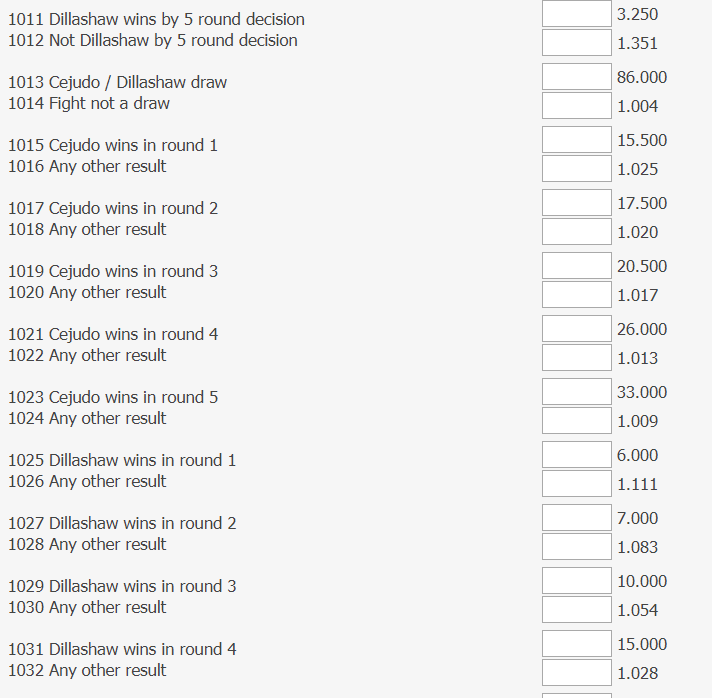 What looks like a 2-way money line is often called „including OT“ and there is also a possibility to bet three-way with a draw as an option that is only for regulated time – not – including OT. You can bet on the total score of both teams combined. In soccer, this is often over/under 2.5 goals and in American Football over under 42 or hockey is often over under 5.5 goals. This is a way of betting on the -type- of a game rather than who will win. Will it be a more offensive style game or a defensive style game? Do these two teams cancel each other out, or maybe one is very weak on defense and allow a lot of points. You can also bet on the total for the half, quarter or even sometimes the first 10min of a game. 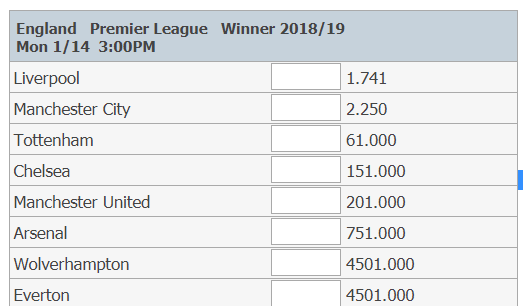 Not only can you bet on the total score combined, but you can also bet on a „team total“ just how much one team will score. For example the soccer team Frankfurt Eintracht over 1.5 goals or the Washington Redskins over 21.5 points. A handicap (also called Spread) are points given or taken away from a team. It is just like if you were going to race someone and you gave them a head start. For example in In Soccer or Baseball the handicaps are normally +0.5 +1 +1.5 or -0.5 -1 -1.5. In Basketball or American Football, you get handicaps like +3 +9 +12 or -3 -9 -12. In general, the handicap that you see is „Asian“ handicap. This means that it is possible to have a push if a handicap is a whole number and the score lands exactly on the handicap number (see „what is a push?“). There are also so-called „Quarters“ this is a combination of two bets. For example over 2.75 goals which are also displayed as over 2.5/3 goals. Your bet is split into two bets in this case. In the case of over 2.75 goals then one half of your bet is on over 2.5 and one half of your bet is on over 3. This means it is possible to have half a win and half a push, or half a loss and half a push depending on the bet and result. European handicap is used in a lot of European and UK sportsbooks. The main difference to Asian handicap is that there are no pushes. You can also bet on a draw with European Handicap, basically betting on the exact margin of victory or defeat. For example, Team A +1 European Handicap is the same as +1.5 Asian Handicap. A push is when the score lands directly on a handicap whole number. For example, if the bet is over 2 goals and there are 2 goals, then the bet is a push and your risk amount is returned. If the bet is under 2 goals and there are 2 goals then your bet is a push and your risk amount is returned. What is a half point + – 0.5? A half point means that the total score or handicap has to go beyond the half point to win or lose. For example, over 2.5 goals mean that 2 goals lose and 3 goals win since 3 goals are more than 2.5 goals. The same thing goes for under 2.5 goals, 2 goals would be a win and 3 goals would be a loss. You can add and take away points from a handicap. Adding is called „buying“ and taking away is „selling“. For example, if you have Colts +5.5 1.95 then you could buy half a point and make it Colts +6 1.82 or sell half a point Colts +5 2.00. 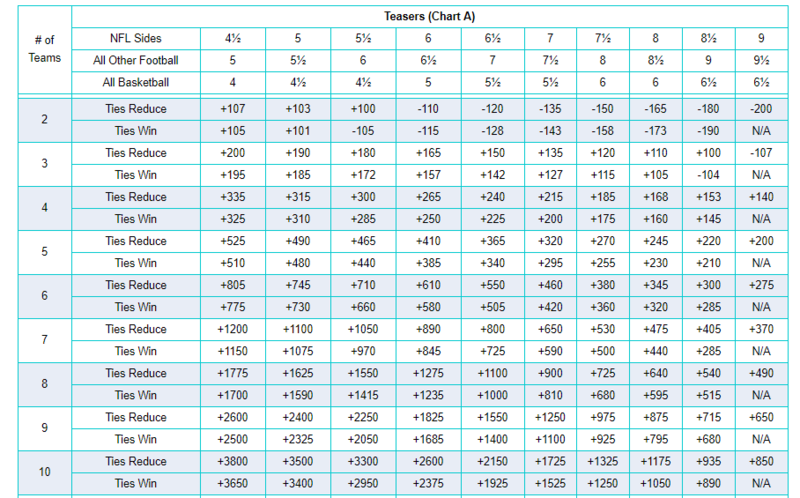 Side bets on different parts of the game besides the total score and winner or handicap. For example, you can bet on how many yellow cards are in a soccer game, who is the first touchdown scorer in American Football or bet on a fighter to win via submission in MMA. Although some of these bets are regarded as „sucker bets“ they can be very powerful tools when used correctly. For example, if you do not know who is going to win the American Football game but you think there will be a lot of Field Goals then you can bet on the total amount of Field Goals over/under. If you think an MMA fight will end within the distance and not go to the judges then you can bet „fight does not go the distance“ or even „fight does not start round 2“. A parlay is a set of at least two bets of which all bets have to be correct for you to win. The amount you win is multiplied by the odds of the two bets combined. For example, if you bet 1 on a single 2.00 bet and win and then you will have 2. If you bet 1 on a paray with two 2.00 bets and both win then you will have 4. 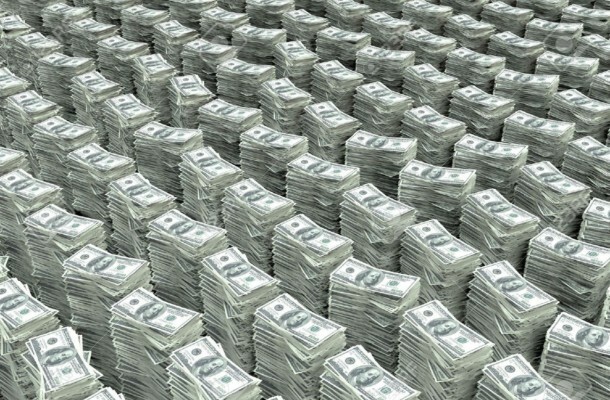 If you bet 1 on ten games in a parlay alll with odds 2.00 you will win over 1000 if one of the ten games loses, you lose. A Teaser is a special type of parlay bet in which you sell a large number of points in all the bets of the parlay for a set price. For example, in NFL a six-point parlay means that each side of the teaser gets an extra 6 points added to their handicap. For example, if we have Colts +5 and Cowboys +3 and put them in a two-team teaser that would make Colts +11 Cowboys +9. Both bets in the teaser have to win for the Teaser to win if one loses the teaser is a loss. If one of the bets is a push, then the value of the teaser is reduced, if both bets are pushes then the bet is void and your risk amount is returned. Typically only Basketball and American Football are offered for Teasers. A future bet is any bet that is more than one week ahead of time. For example „who is going to win the Super Bowl?“ or „Who will be the Cy Young award winner“. Sometimes these bets are called „outrights“. A deposit bonus is an amount of money that you get for depositing at a sportsbook. The bonus amount can range anywhere from 10% to 100% of the deposit amount and normally has an upward limit. For example, 50% deposit bonus up to 250$ means „Deposit 500$ get 250$ bonus“. It might sound too good to be true, and it is. All bonuses are subject to rollover and other terms and conditions. We can use the example from above and add some terms to the bonus deal. „50% deposit bonus up to 250$“ you deposit 500$ and get 250$ deposit bonus. 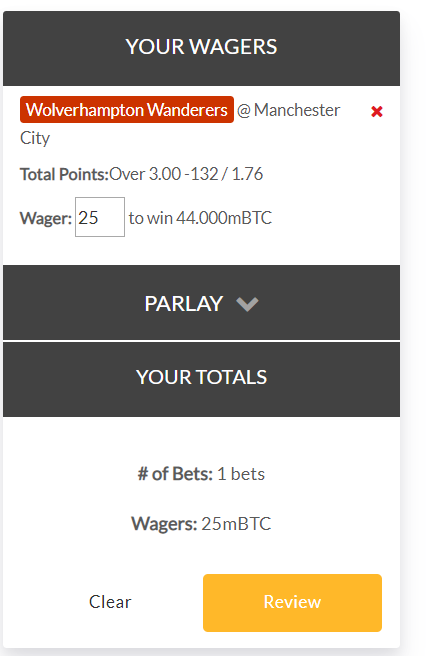 You now need to „turnover“ the 250$ ten times meaning a total of 2500$ worth of bets. The bets have to be on odds 1.70 or better. That means you have to bet the 250$ ten times at odds 1.70 or better before you can withdraw the bonus amount. Similar to the deposit bonus „cash back“ is another bonus system. The main difference is that the amount of cash back is based on how much you bet and it is cash, meaning there is no rollover or other conditions. For example, if a place has 0.01% cashback that means for every 100$ you bet you get 0.01$ cash back. It might not sound like much but it adds up. Free Bets are sometimes parts of other offers from sportsbooks. For example „bet on the total score of Liverpool vs. Manchester City and get a free bet up to 50$“. That means if you bet 50$ on the total score of that game you will get a matched 50$ free bet that you can use on any other game. Free bets only payout the „win“, not the risk amount. For example when you use your free bet of 50$ at 2.00 odds and win(risk 50$ with the free bet and win 50$), then you will only get 50$, not 100$.